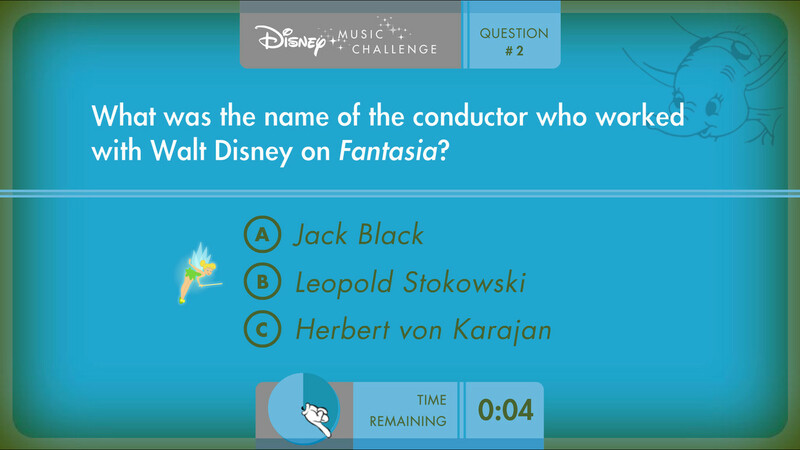 “The Disney Music Challenge” is an interactive game created for Experience Music Project’s “The Music Behind the Magic”. 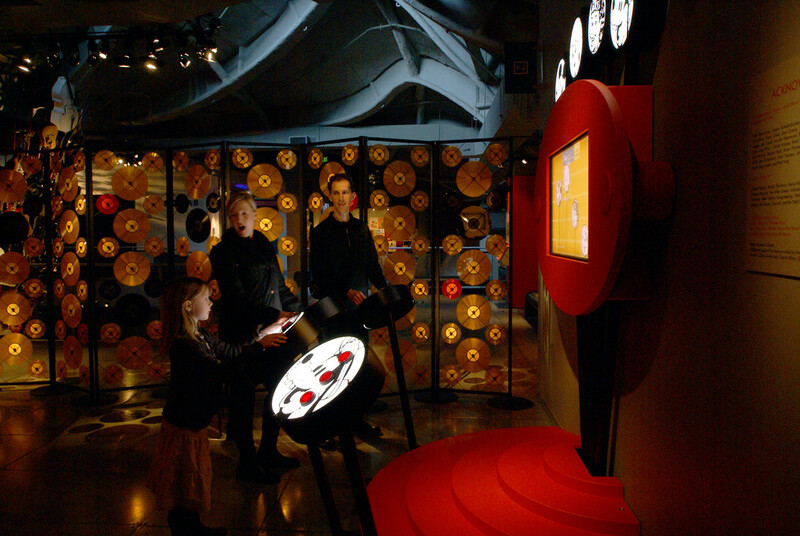 This game was realized in collaboration with curator Jasen Emmons, exhibit designer Ken Burns, and hardware programmer Russell Edwards. 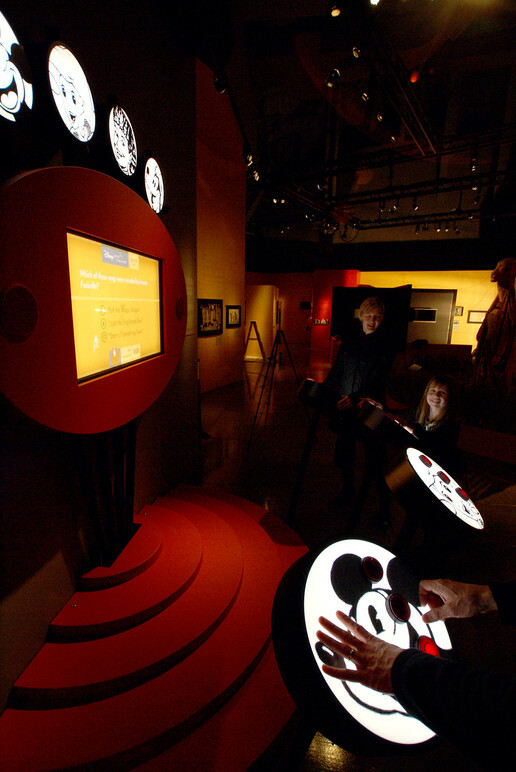 Acting as the finale of the exhibit, the game engages visitors with Disney music trivia learned while experiencing the exhibit as a whole. 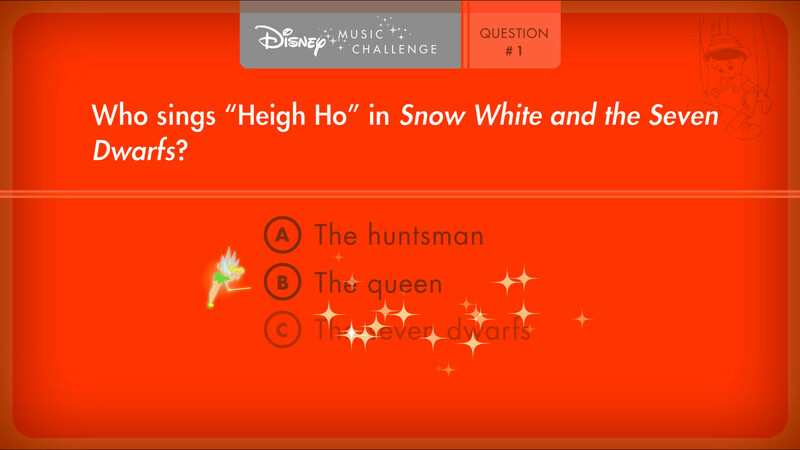 Participants are led by the voice of Disney legend Ginny Taylor. Design by Gabe Kean and Aaron Hedquist. Programming by Seb Chevrel. Exhibit graphics by Jacob McMurray.